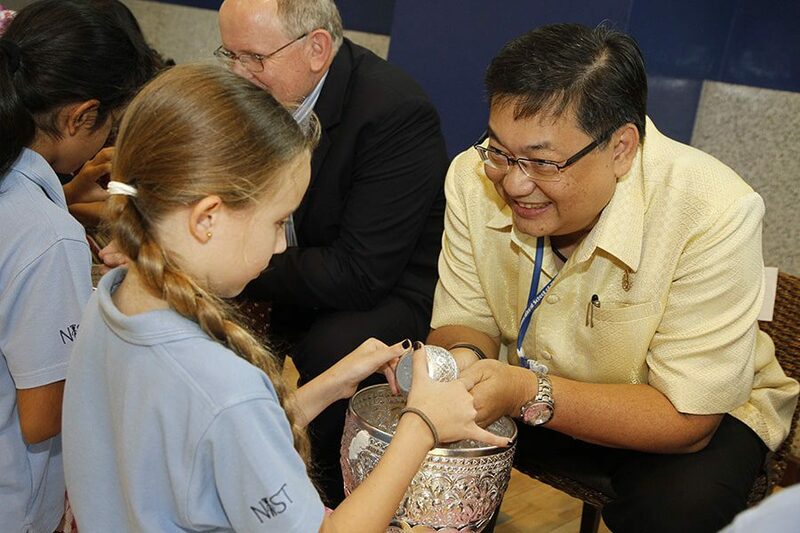 On Friday, 4 April, NIST celebrated Songkran, the traditional Thai New Year. 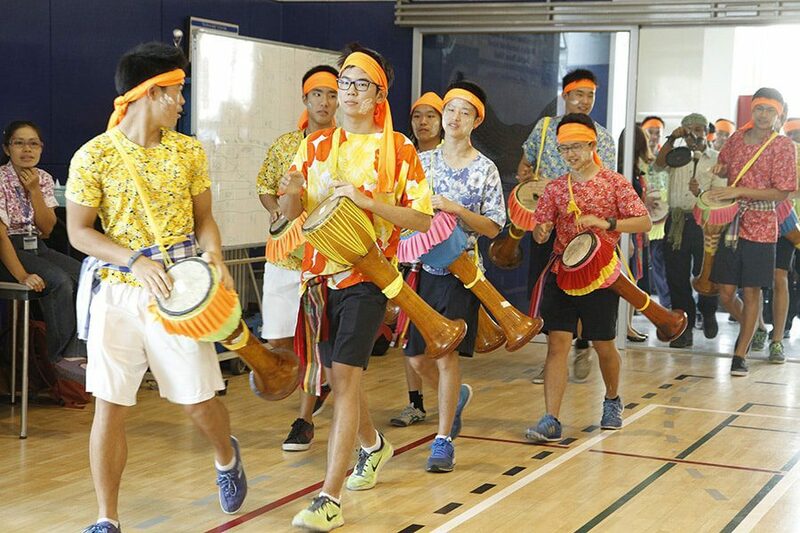 Students, parents and staff gathered in the Sports Complex to watch the Thai long drum parade and water pouring ceremony, followed by Thai music and dance performances. 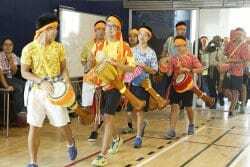 Following the activities in the sports hall, participants in the event learned how to make Tung (a traditional northern Thai flag). 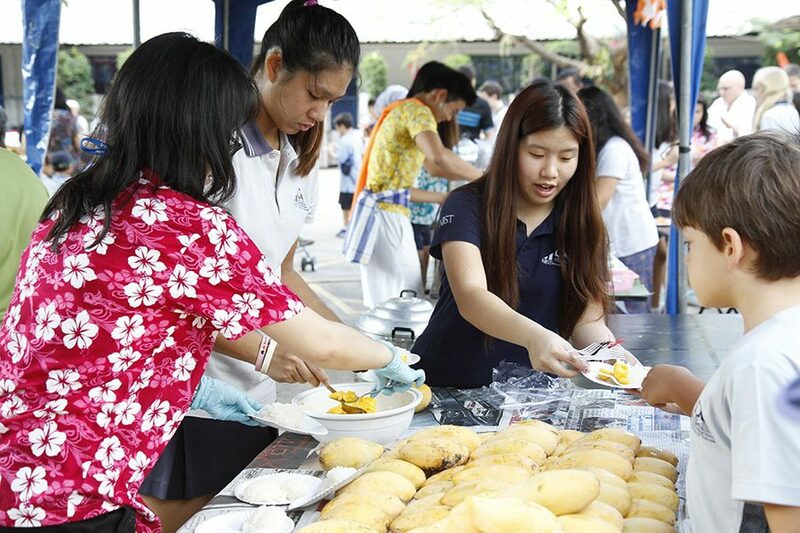 Additionally, Thai parents and staff served a variety of snacks, including pad Thai, the king of Thai noodle dishes, kanom krok (rice coconut cake), grilled squid, mango and sticky rice, stuffing tapioca, Thai cotton candy in pancake desserts, and shaved iced and coconut milk ice cream. Everyone had fun learning to make the Tung and enjoyed having Thai snacks with their friends. Participants enjoyed the event and appreciated learning more about Thai culture and food.